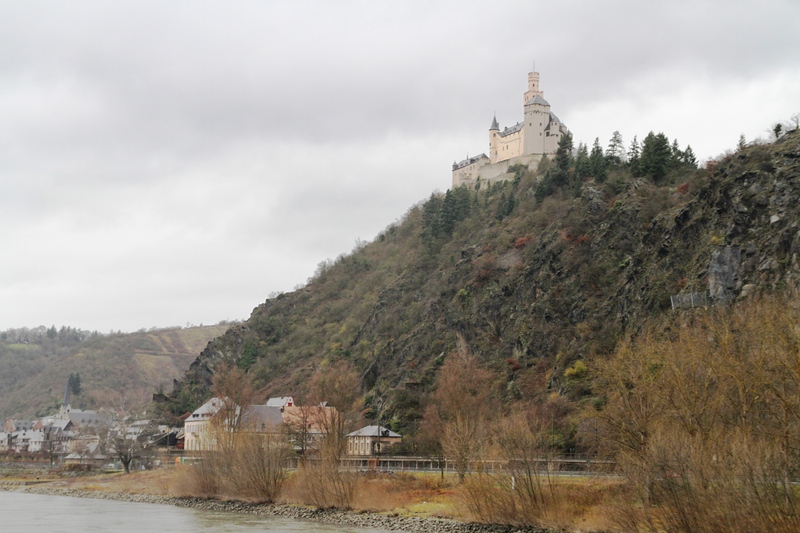 Today we spent the morning cruising the Middle of the Rhine before we arrived at Marksburg Castle. 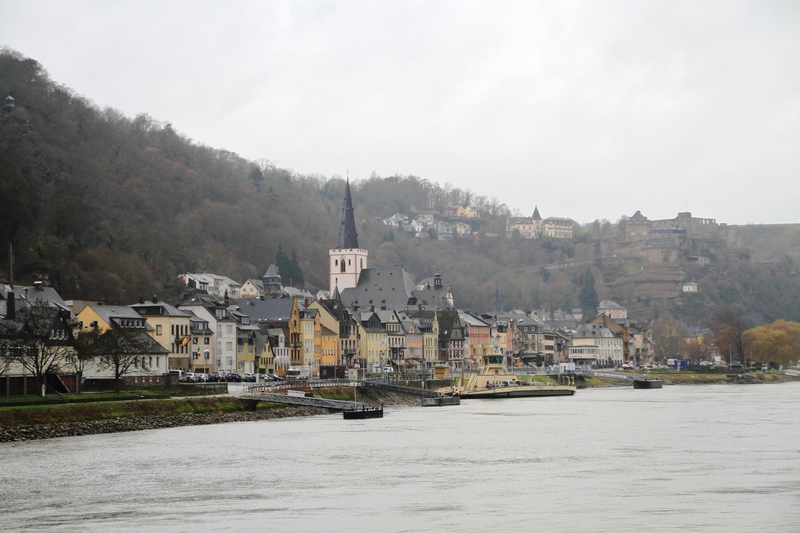 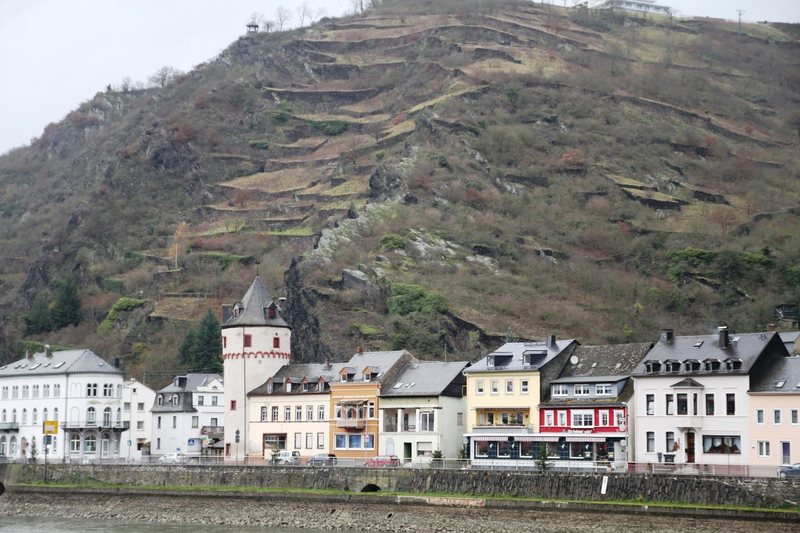 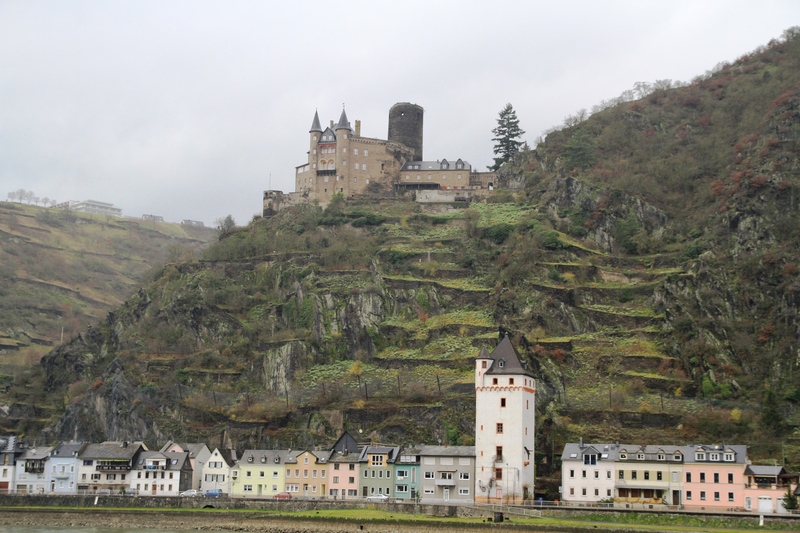 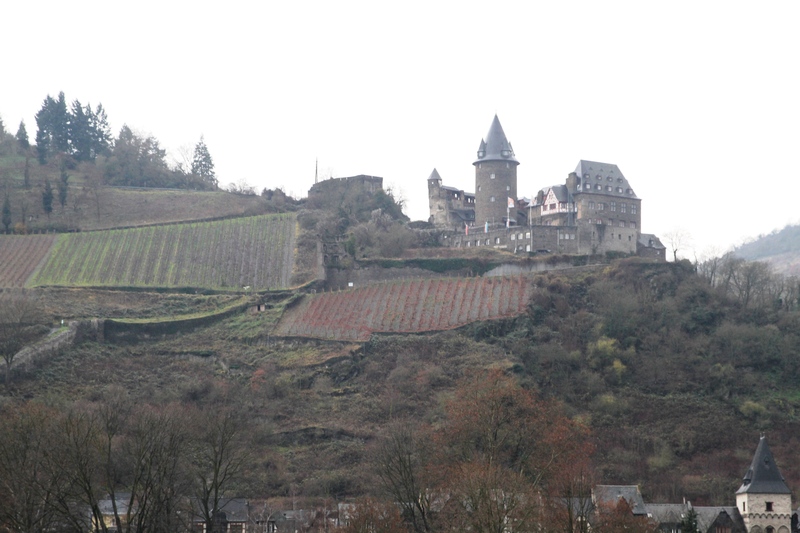 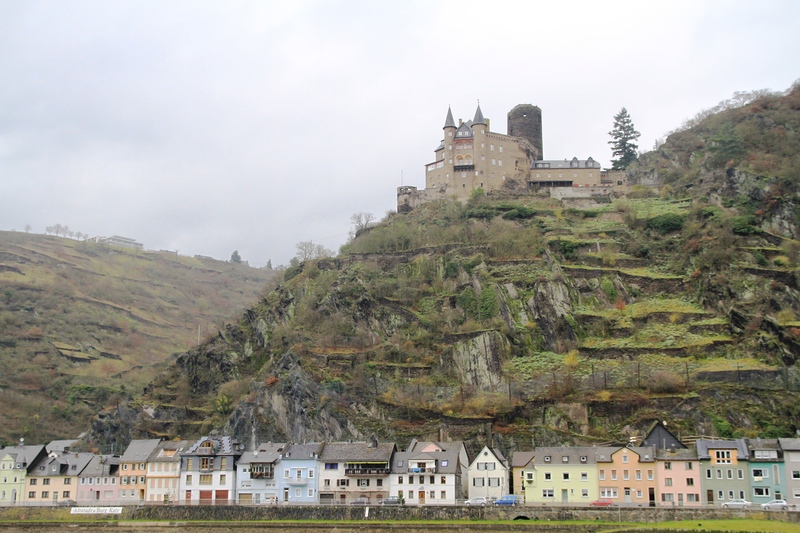 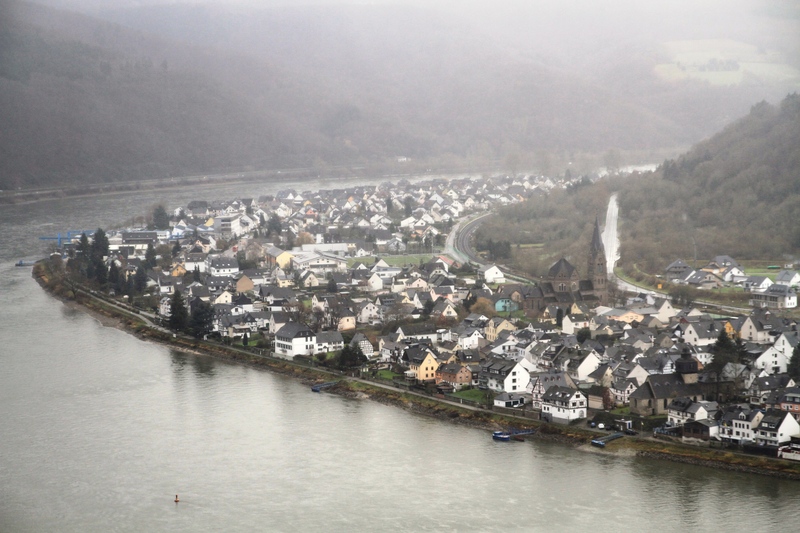 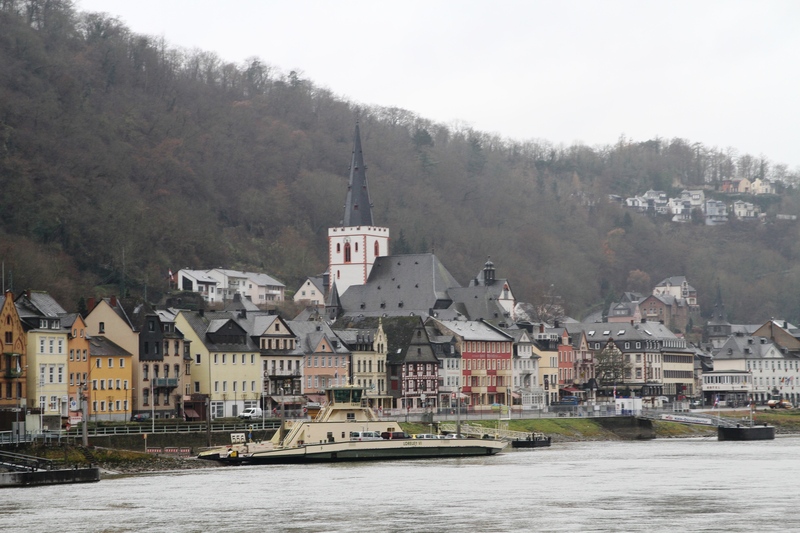 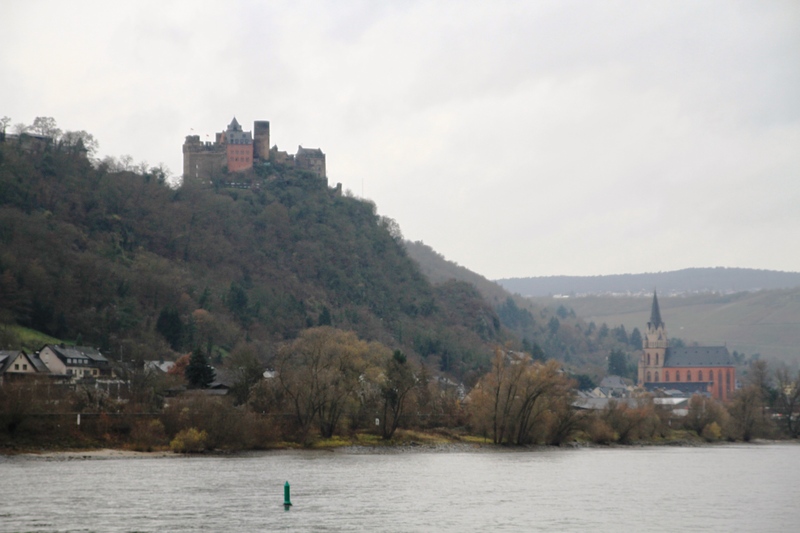 During our cruise, we passed many small German towns, endless vineyards, dozens of castles located on the hilltops overlooking the river and the notorious Lorelei Rock. 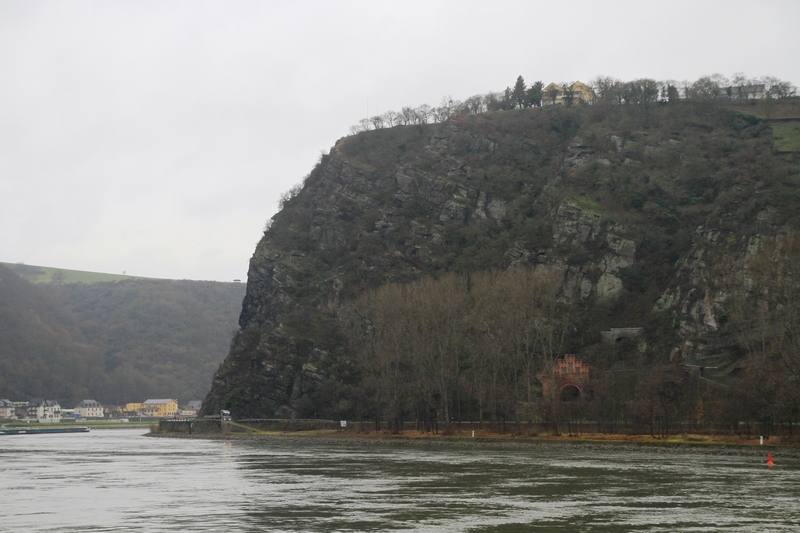 This rock has become famous because as the story is told, the beautiful siren Lorelei stood atop the rock and lured many sailors to the rock. 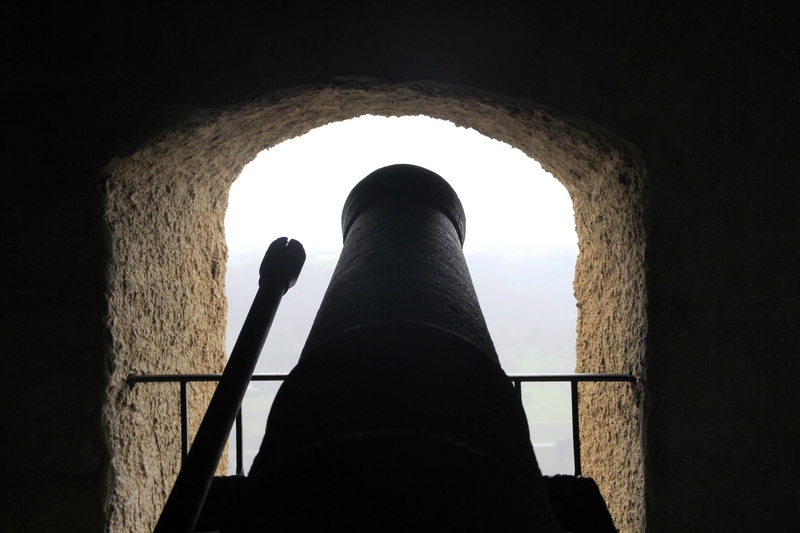 If a sailor passed the rock at nightfall, the water would lash him against the rocks and he would fall to his death. 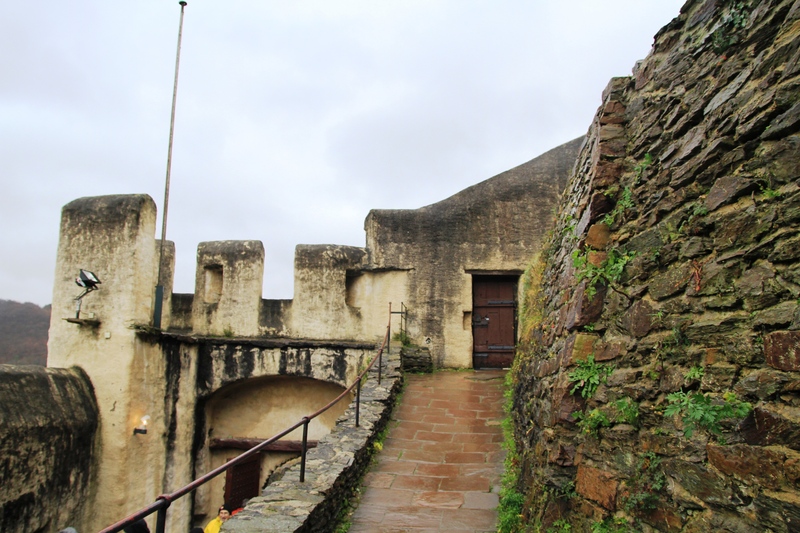 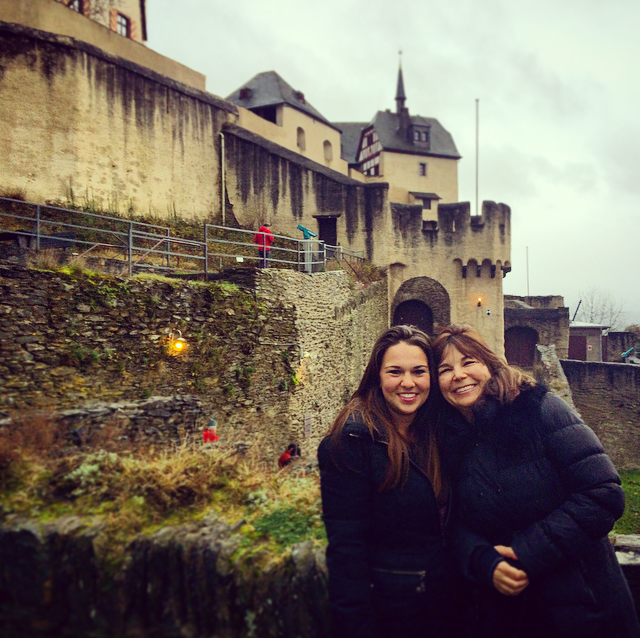 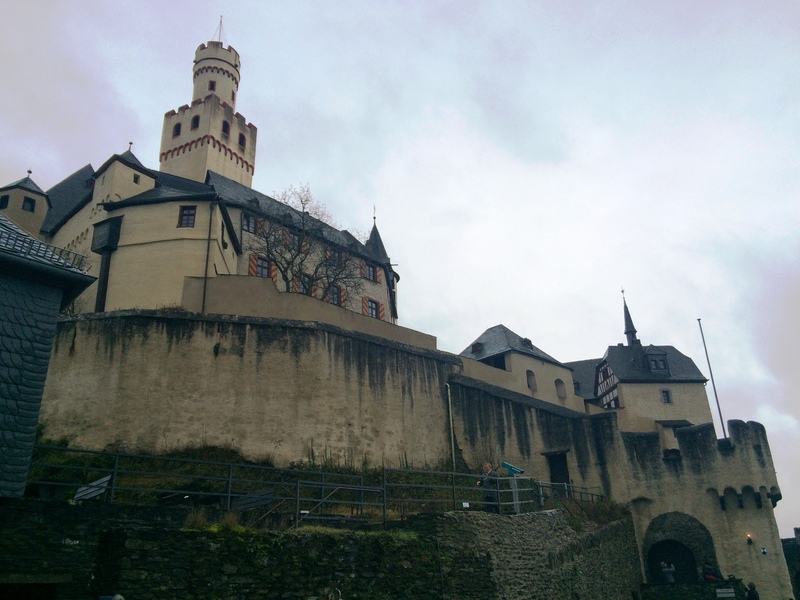 We had the chance to cruise by Marksburg Castle before we disembarked to actually tour the castle. 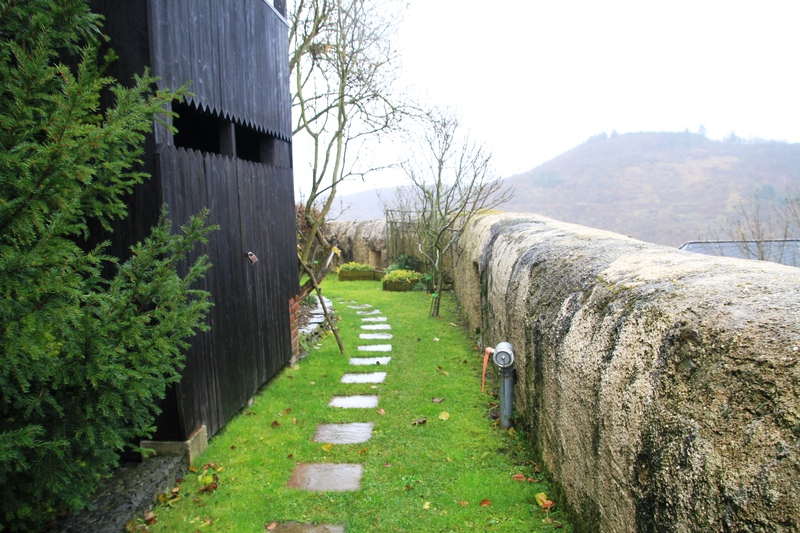 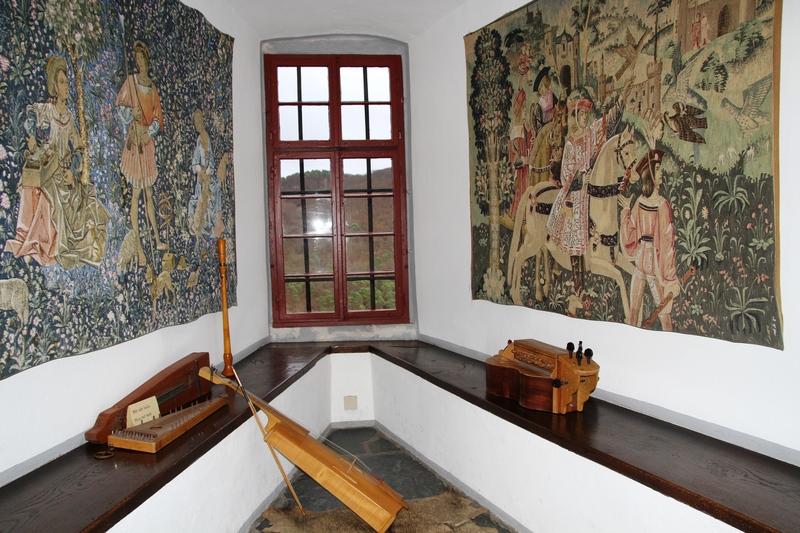 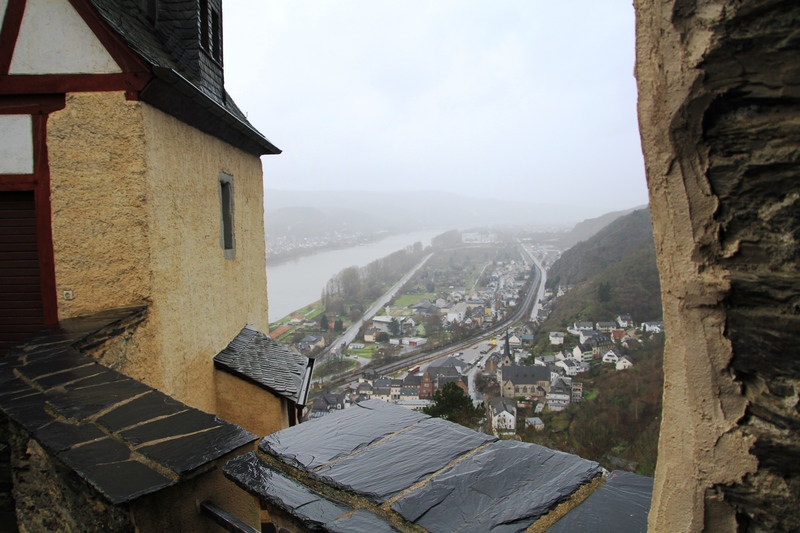 Marksburg Castle is the best-preserved castle on the river and has been standing for over 800 years. 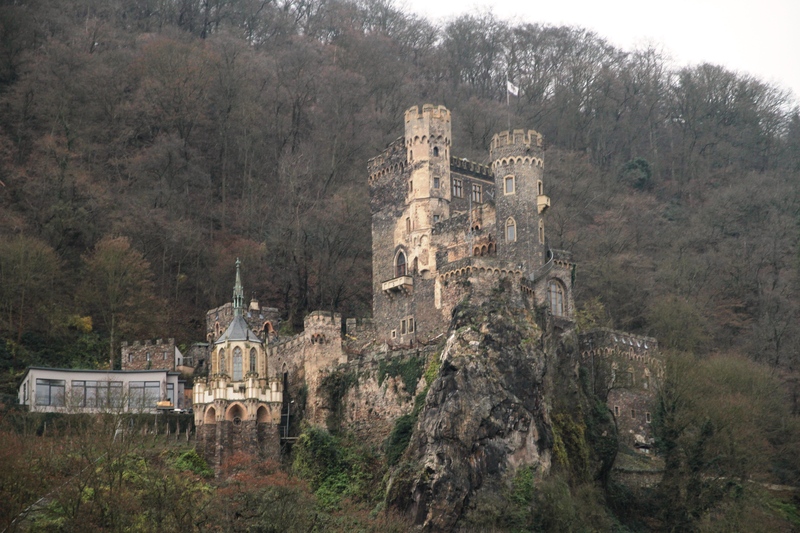 The castle is very isolated, and this is the reason it was never attacked during any of the wars that devastated Germany throughout history. 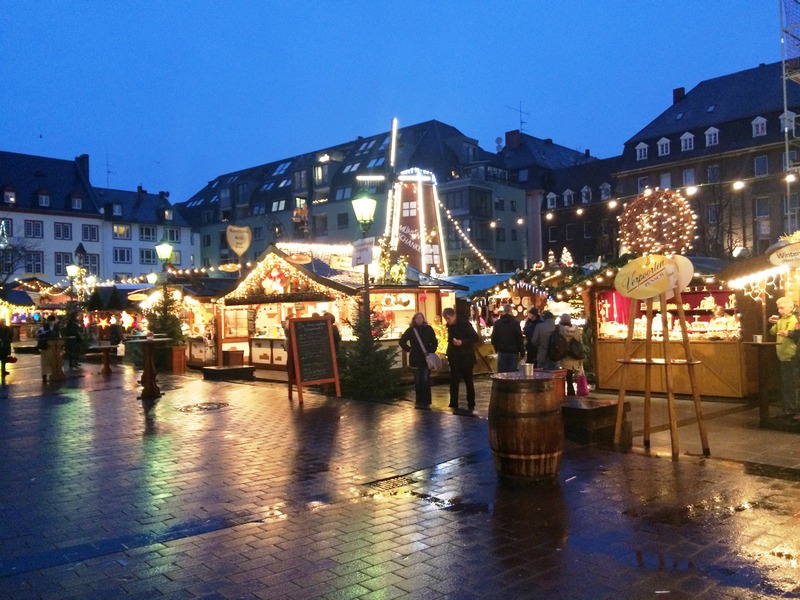 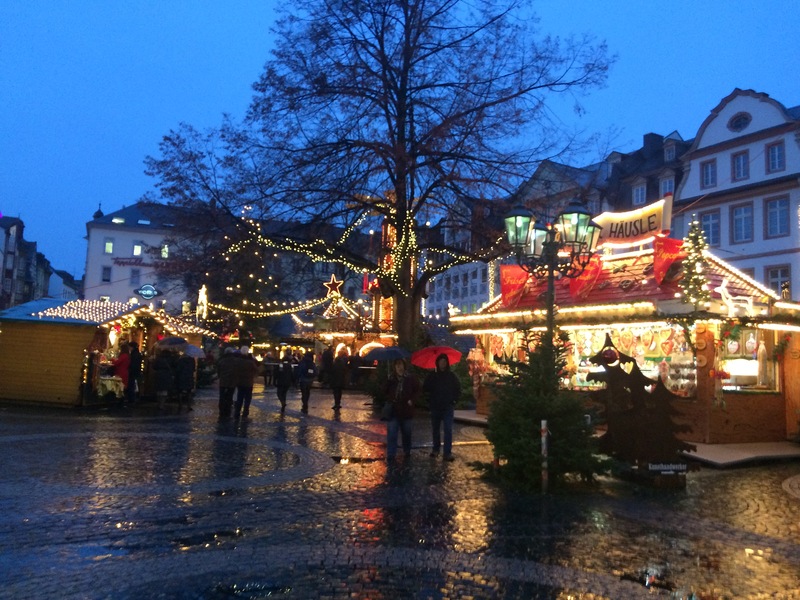 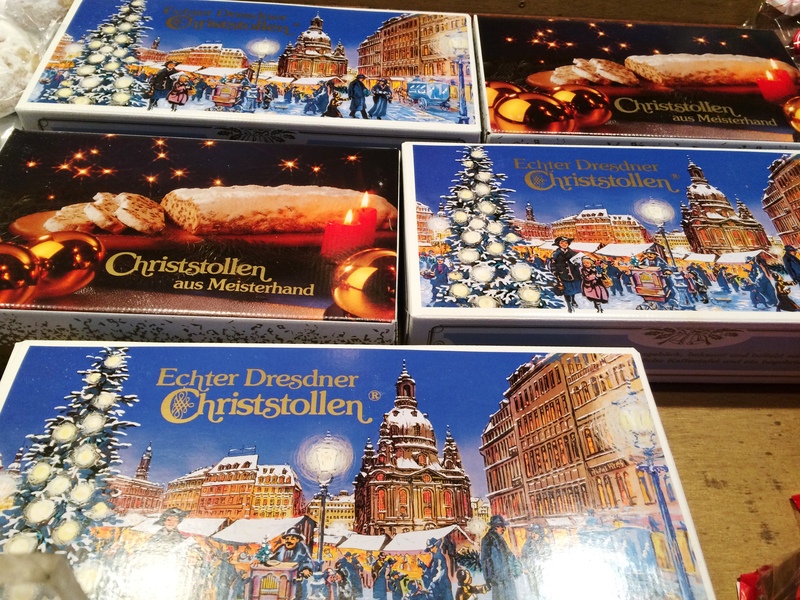 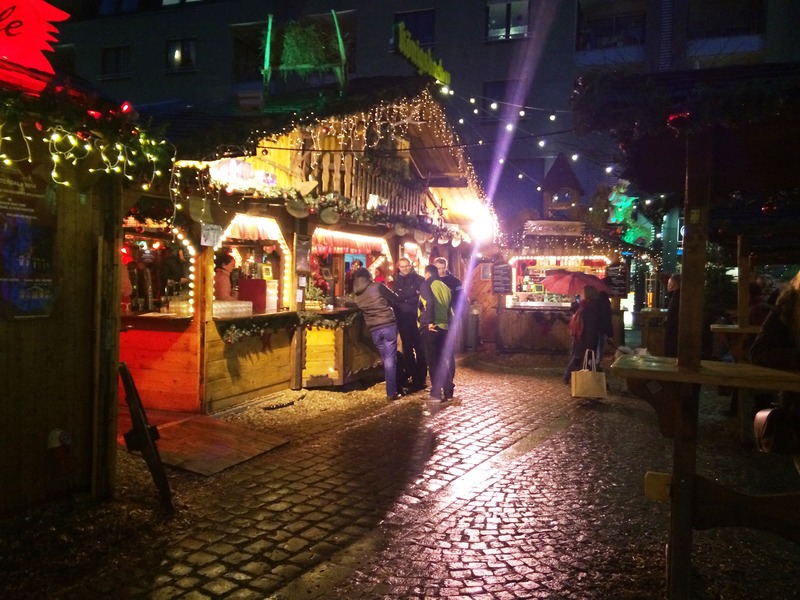 After the castle we returned to Koblenz where we had the opportunity to visit the largest Christmas market in the Rhineland-Palatinate wine growing region. 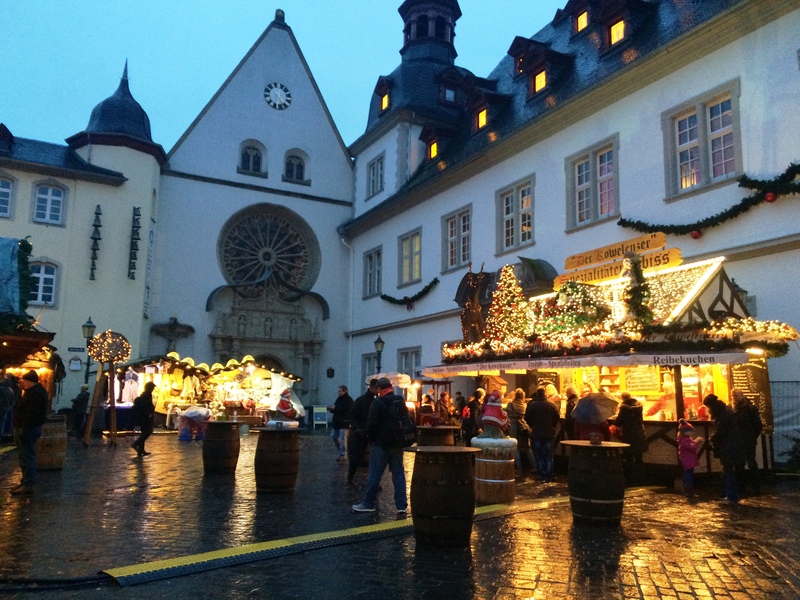 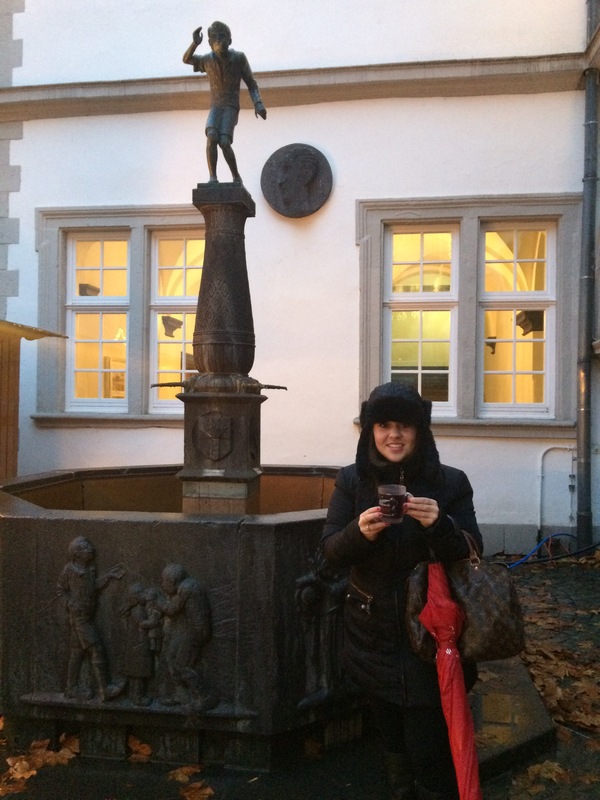 We were able to taste stollen and drink our glühwein under the famous “Schangel” fountain.